The Embassy Group has operated for over 25 years within every major continent. 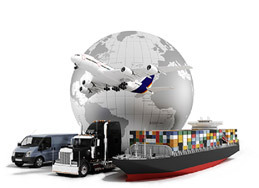 The group provides a seamless service to all its clients in every transport mode. The fundamental objective is to equip ourselves with an infrastructure and technology that will maintain the Embassy group as market leaders in the field of transport. Embassy Freight Services (Midlands) Ltd are the main cog in the UK providing our clients with solutions for all their Import and Export requirements. Our aim is meet the demands of our clients with an open approach to their needs today and for the future. Our services include Air Freight, Road Freight, Sea Freight, Supply Chain Solutions, Warehousing, Delivery and Specialist Services. We have Section 5 Home Office approval, meaning that we are authorized to have in our possession and to transfer in the Course of our business as freight forwarding agents prohibited weapons and prohibited ammunition to which the Section 5 of the Firearms Act 1968 applies. We alo ship all Hazardous risk cargos Class 1- 9. We achieve those aims by managed solutions through our staff whose blend of skills and experience provide service and value in taking ownership of our client's freight and logistics.